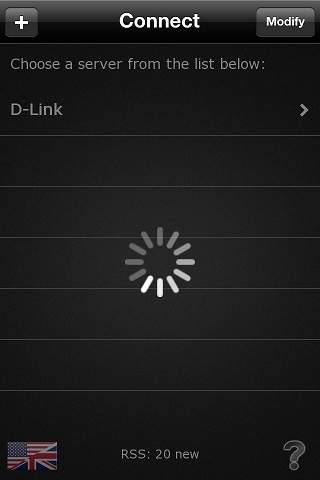 Mobile application to remotely manage your downloads on your D-Link DNS 3xx from your phone ! Need help configuring D-Load ? Click here ! Ever wanted to download a file on your mobile device, but it was too big? Have a D-Link DNS-3xx at home? D-Load is meant for you! D-Load allows you to connect to your D-Link NAS and manage your downloads. You will be able to add or remove files, but also check the speed or pause downloads. Have several D-Link servers? Often connect to it from home or work ? D-Load handles connection to different NAS and can manage different connection profiles ! The included web browser will help you choose the file you wish to download, and the smart search engine will allow you to look for files from anything. New smart search engines can be added dynamically, so you will never miss your good old finder. Mininova is included by default! Morever, the built-in RSS reader helps you keep track of your software updates. You will be able to add new RSS feeds to D-Load and be notified of new files to download. Afraid to open your DNS 3xx access to the Internet? D-Load handles both HTTP and HTTPS and is capable of connecting to it through a SSH Server, so it is completely secure! D-Load is available in 10 languages: English, French, German, Italian, Danish, Norwegian, Swedish, Spanish, Finish and Dutch ! D-Load is available on the Apple AppStore and on the Google Android Market.